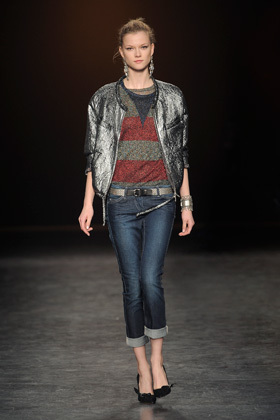 Just one outfit from Isabel Marant’s collection, sitting in my wardrobe, would definitely make my day. 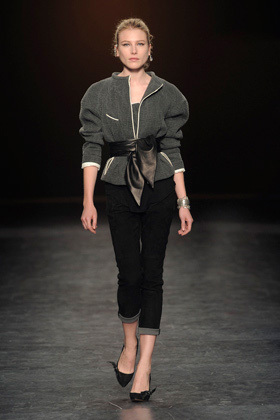 Her straight cut pencil pants and easy loose fit tops, teamed with beautiful jackets are so every woman. I can’t help but keep watching her runway show and just craving for hmmm…..the entire collection! Wake up woman, never going happen here, why are there no sample sales of hers here, in island city, where I’m currently am. Isabel Marant is a French designer who started designing her own accessories line and eventually created Twen, her clothing line of knits and jerseys, which morph into her own “Isabel Marant” label. I would consider, its one of the most sought after French labels and I’m under the impression that every French woman has at least one piece of hers in their ‘boudoir’. Go see, the runway show and collect here.